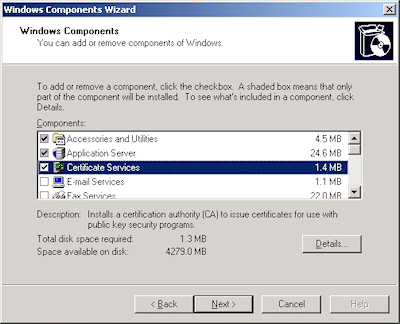 In this second appendix for my blog series about using SSL with IIS 6, I'm going to discuss obtaining the root certificate from Windows Server 2003 Certificate Services. By way of explanation, obtaining a root certificate is one of the most important steps for servers or clients that will use certificates that you issue. 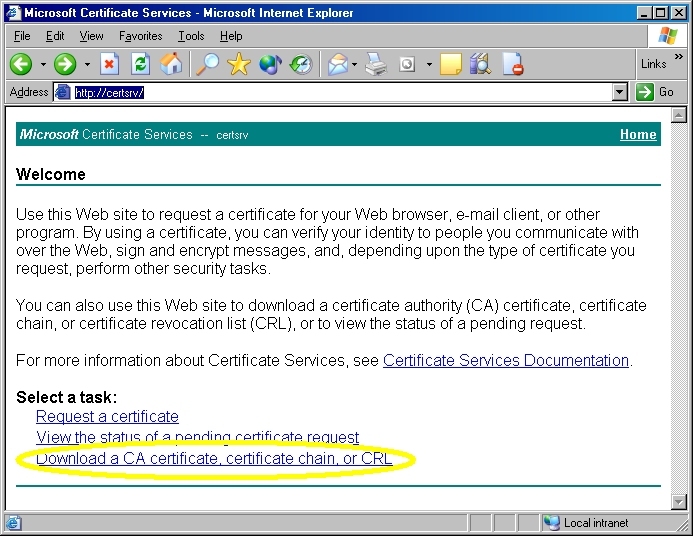 While this step is not necessary on the server where you installed Certificate Services, it is absolutely essential on your other servers or clients, because this step will allow those computers to trust your certificate server as a Certificate Authority (CA). 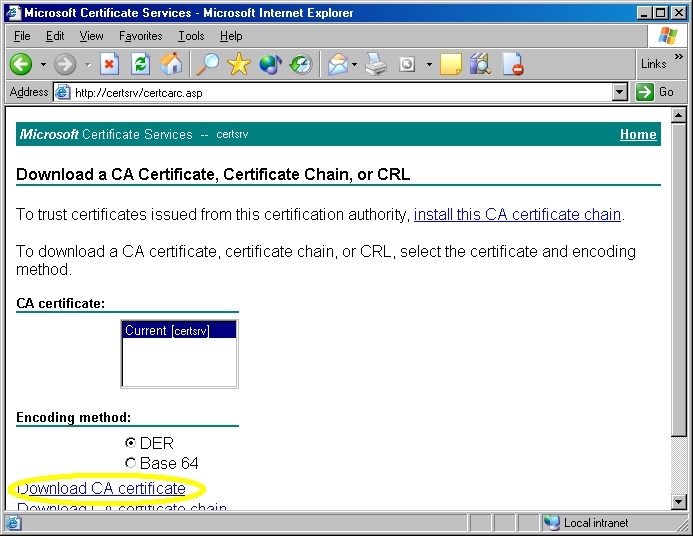 Without that trust in place, you will either receive error messages or SSL simply won't work. 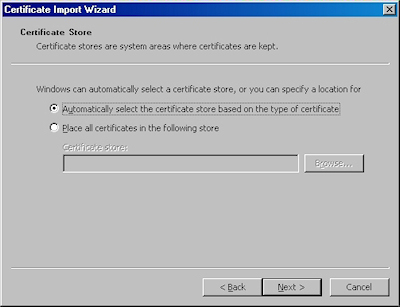 Note: If you were to bring up the properties for the root certificate, the certificate's icon should show an error; this is because the certificate has not been imported. 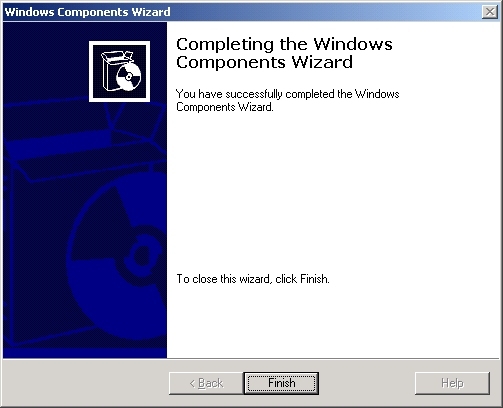 NOTE: This step is very important. 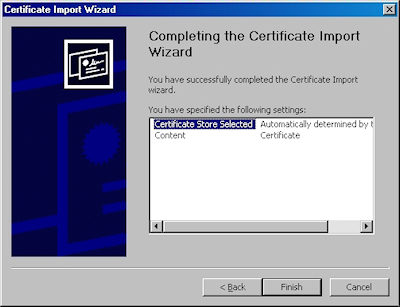 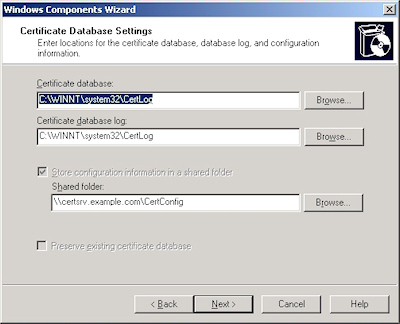 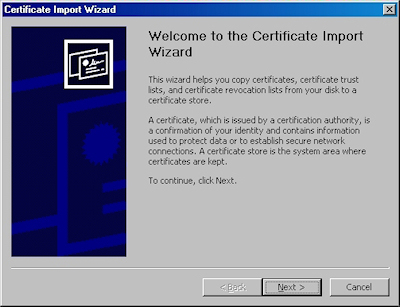 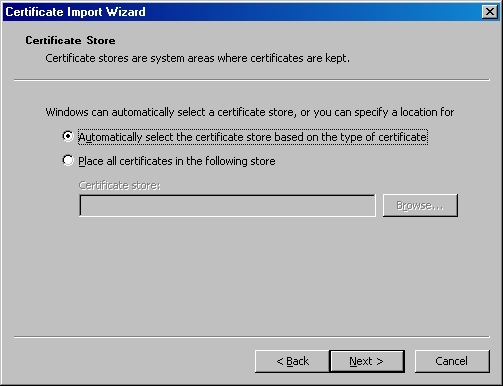 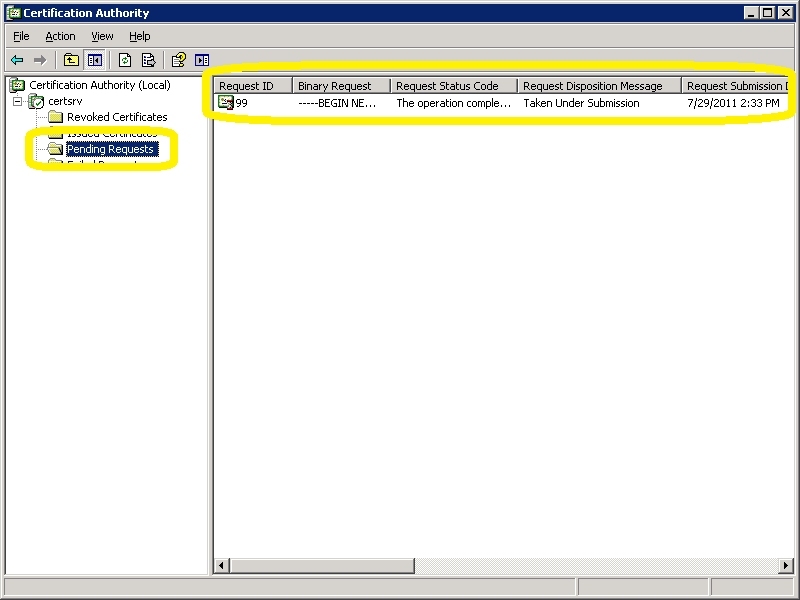 If you do not see this dialog, something went wrong, and you may need to manually place the certificate in the correct store. 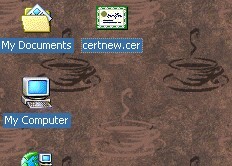 Note: If you were to bring up the properties for the root certificate after you have installed it on your computer, you should see that the icon for the certificate no longer shows an error. 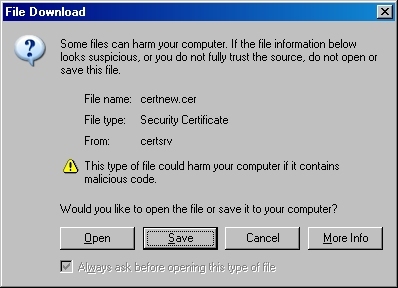 That's it for this post. 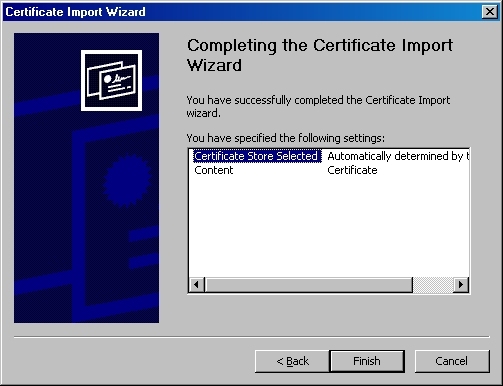 In my next blog post, I'll discuss processing a certificate request. 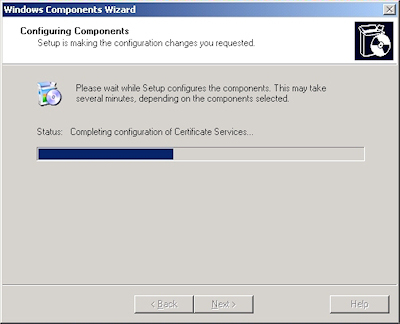 I needed to take a short break from my blog series about using SSL with IIS 6 in order to work on some other projects, but I wanted to finish the series by giving you a few appendices that give you some additional details that you might want to know if you are using SSL with IIS 6. 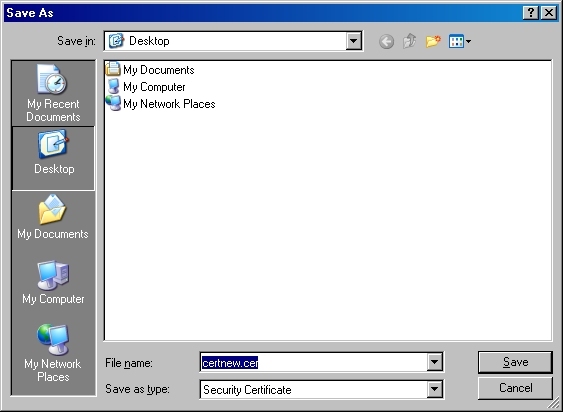 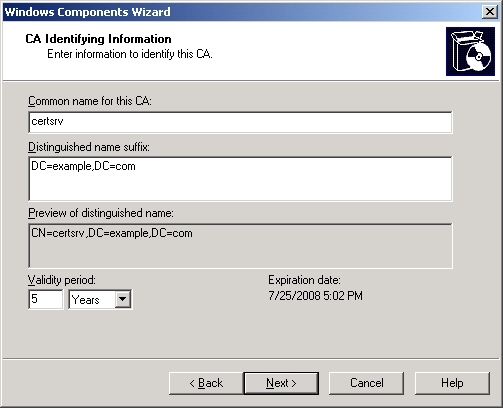 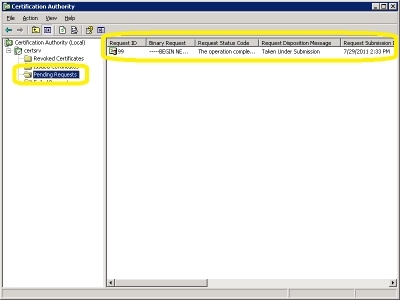 In this first appendix, I'll discuss how to install Certificate Services for Windows Server 2003. 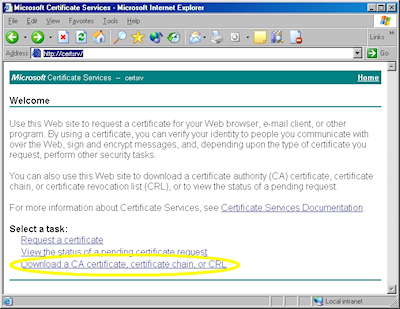 Installing Certificate Services will allow you to have your own Certificate Authority (CA), and thereby you will be able to issue certificates for your organization. 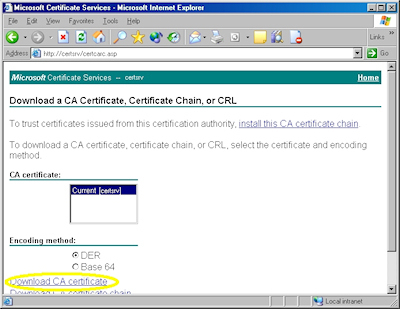 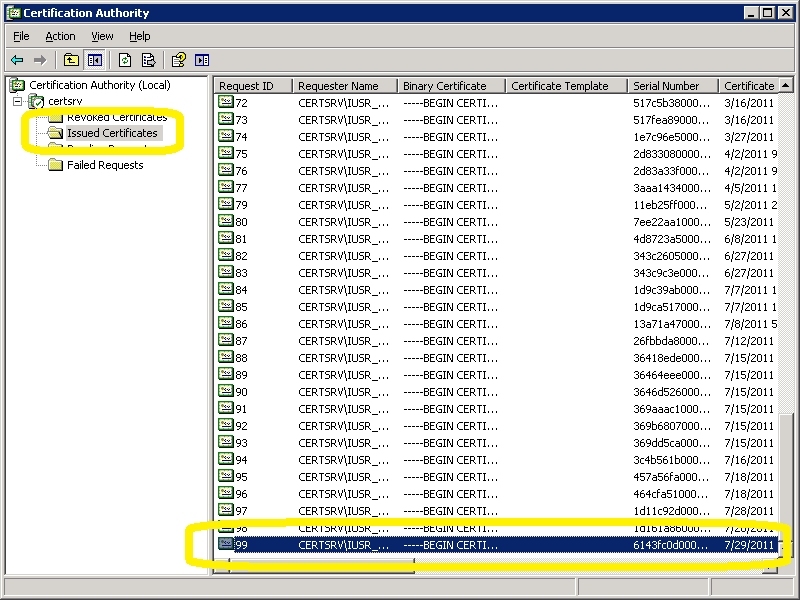 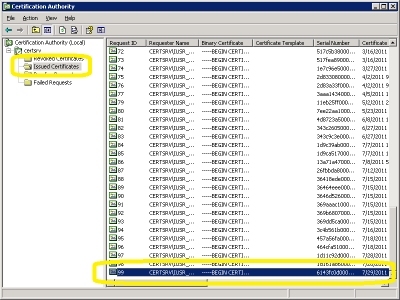 It should be noted that Internet clients that are not part of your organization will not inherently trust your certificates - you will need to export your Root CA certificate, which I will describe in a later appendix for this blog series. 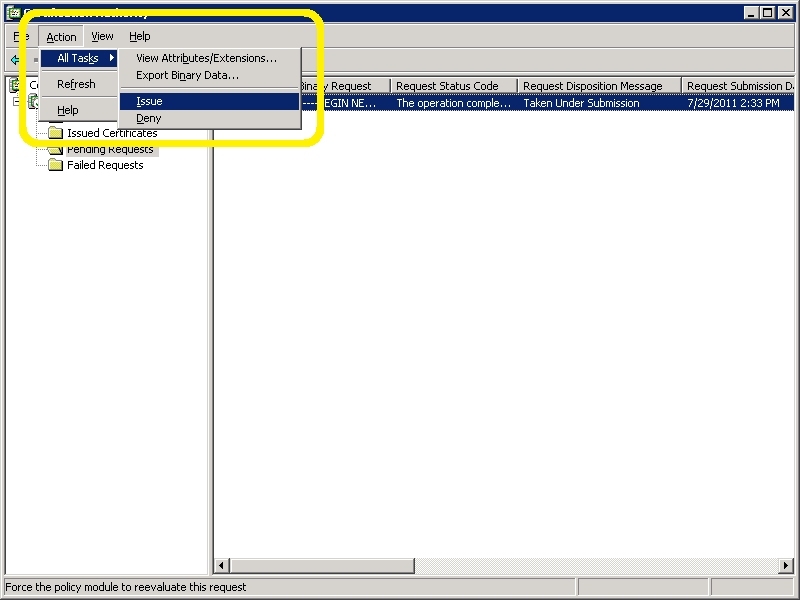 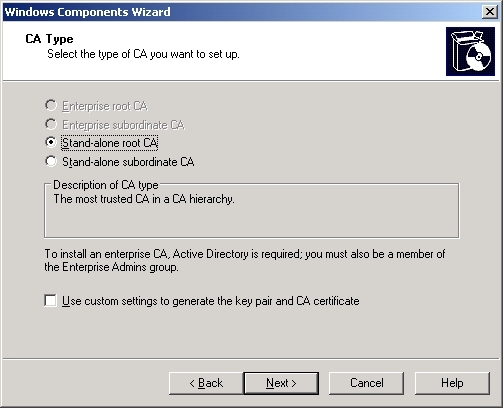 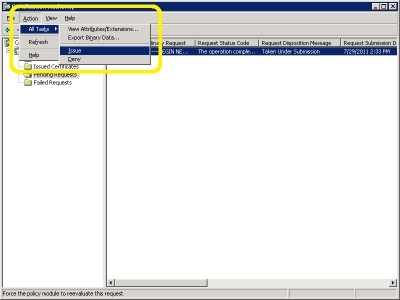 For this blog, I will discuss setting up a Stand-alone root CA. That wraps up this blog post. 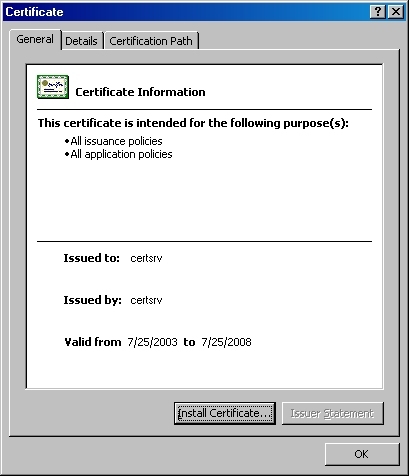 In my next post I'll discuss obtaining the root certificate for your certificate server so you can install it on a client computer or an IIS server; this will allow other computers to trust the certificates that you issue.